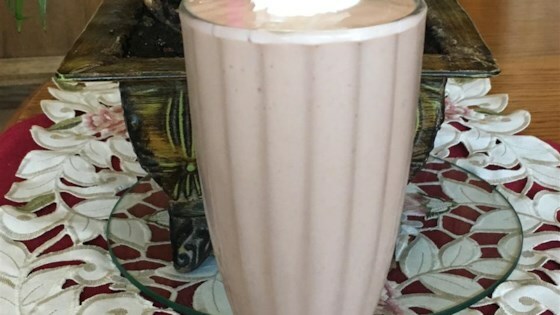 "A gorgeous creamy smoothie with a nice fruity taste! Stir in some whipped cream for a sweeter taste." Combine milk, strawberries, and avocado in a blender; blend until smooth, about 1 minute. This was tasty. The only addition I made was adding 2 packets of Stevia only because I like my smoothies on the sweeter side.